It’s the beginning of a new school year and everyone is probably looking for new and exciting activities to use in their classroom. So I have decided that every Tuesday, I am going to try and share a different tech tool that can be used in your FCS classroom- “Tech Tool Tuesdays”. Up first, Padlet! One of my favorite tools that I use almost daily!! 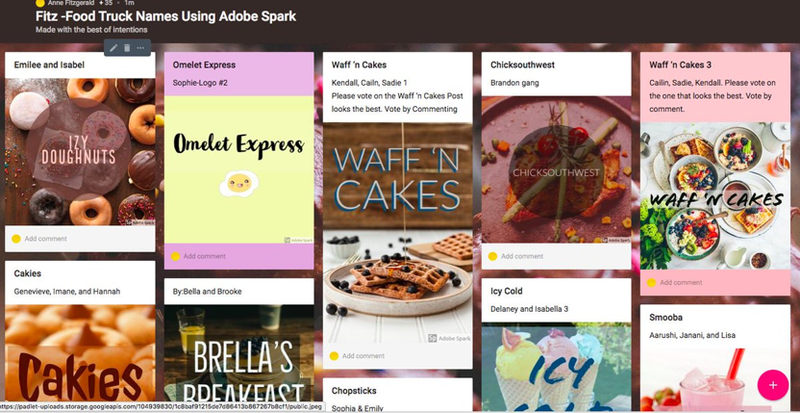 Padlet is an online bulletin board that allows you to complete a variety of tasks. It is interactive, very easy to use, and FREE*! All you have to do is sign up to create an account, click on create a new board, and get started. It even generates its own QR code and allows you to give it a unique link making it easier to share with others. *You only get to create 11 boards with the free account, you either need to update to the paid version to get more or delete old boards. Want to know more about ways to use Padlet in the FCS classroom or interested in me doing a video or live? Let me know in the comments below! !